Ger Hanley; Pat Flynn, Brian Shortall, Graham Gartland, Jack Memery; Sean Brennan (Prizeman 64), Paul Crowley (capt), Robert Bayly, Stephen Hurley, Dean Kelly; Philip Hughes. 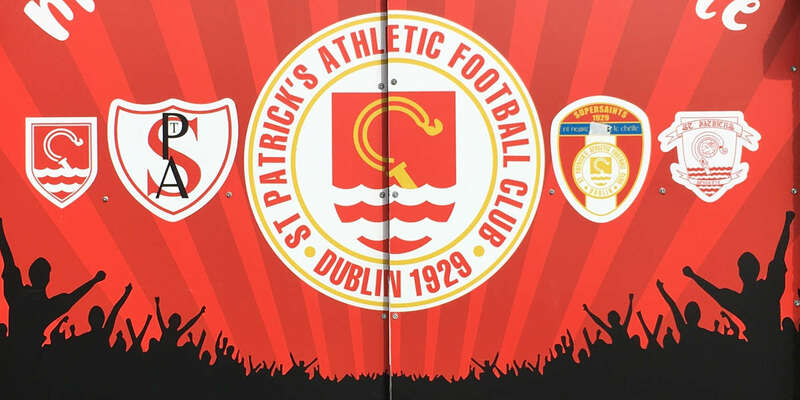 St Patrick's Athletic romped to a 4-0 victory over struggling Shelbourne in Monday's Airtricity League Premier Division clash at Richmond Park. Three goals in twelve minutes secured the points for the home side, the first arriving on the stroke of half-time courtesy of a well-struck shot from Chris Forrester from the edge of the box. And then two goals inside the first ten minutes of the second half secured the points as Conan Byrne scored from close range before a wonder-strike from Forrester made it three. Forrester grabbed his hat-trick in the 82nd minute as Saints moved third in the table nine points behind leaders Sligo Rovers. The home side opened brightly and threatened the visitors' goal with just two minutes on the clock. Midfielder John Russell burst out of defence into the Shelbourne half, linking well with Conan Byrne before receiving the ball on the edge of the box and unleashing a great effort, but the ball flew wide of Ger Hanley's right post. Six minutes later, the home pressure nearly paid dividends as lively left-back Ian Bermingham joined in the attack and managed to get to the by-line before crossing into the box. The ball was half-cleared, but Killian Brennan was waiting on the edge of the box and a neat bit of skill saw the former Shamrock Rovers playmaker lift the ball over his head before turning and volleying just wide. 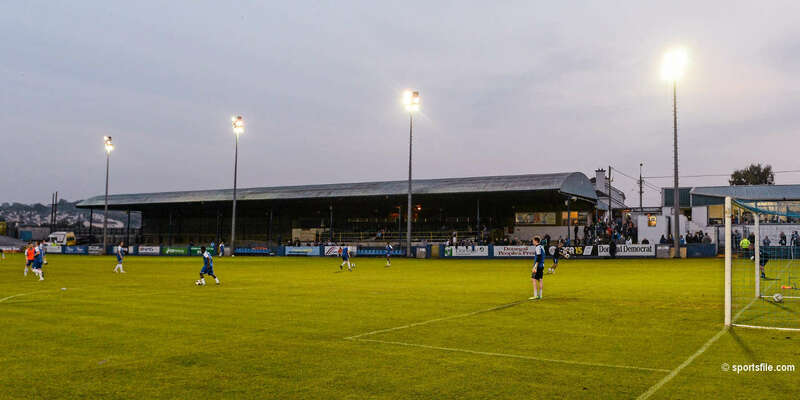 Saints couldn't capitalise on their early pressure and the visitors eventually broke up the pitch in the 13th minute as Paul Crowley tried to set up a Shelbourne attack. The Pat's defence held firm and cleared their lines but the bouncing ball was met with venom by Crowley from about 30 yards, although his well-struck effort sailed high and wide. Liam Buckley's side pushed forward and again found space down the right flank in the 20th minute as Byrne drilled a great ball across the box putting pressure on the recovering Shortall. However the Shels centre-half did enough to relieve the pressure and Alan Mathews' side cleared the danger. 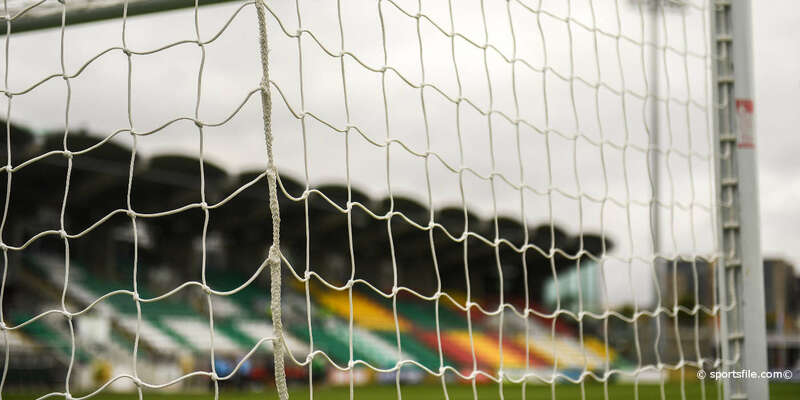 Two minutes later, the woodwork saved Shelboure as Killian Brennan's dangerous free-kick from the left beat everybody, but Conor Kenna slid in at the back post to crash the ball back across goal, hitting the underside of the bar. Shels were happy to absord the pressure and counter attack when possible, and in the 22nd minute they nearly got rewarded as Dean Kelly burst forward and hit an early shot from distance but blasted the ball just over the bar. Shels again came close to taking the lead in the 37th minute after poor defending by Kenny Brown led to a soft free-kick awarded in the right corner. Sean Brennan's delivery was poor as it sailed across the box but the ball was retrieved by Jack Memery and this time a better ball was whipped into the danger zone. Crowley got a great flick on the ball and it fell invitingly for Kelly but his goal-bound effort was well saved by Dave Ryan - the first time the keeper was tested all evening. In what was becoming an end-to-end affair, the home side pushed forward again and were eventually rewarded for their endeavours a minute before half-time as Shels failed to clear their lines. Greg Bolger put his foot on the ball on the left side of midfield before flicking a neat pass inside to Forrester. The Ireland Under-21 international ran at the Shels defence before crashing a low, well-struck effort on target. Hanley got down well to his left to save but the spin on the ball took it up and over the outstretched keeper before bouncing into the net to give the home side the lead. Liam Buckley's side doubled the advantage from a corner kick with only four minutes on the clock in the second half. The well-worked set-piece from the left found Forrester and his header fell at the feet of Byrne on the edge of the six-yard box. The former Shelbourne winger swivelled before turning the ball home from a couple of yards out. Goal number three arrived five minutes later, and will be a contender for the MNS goal of the month, as Forrester grabbed his second goal of the night. It was a moment of individual brilliance from the classy winger on the left, as he cut inside and smashed an unstoppable curling effort into the top right corner of the net. Byrne then had a chance to make it four after 61 minutes but his cheeky lob was well watched by Hanley who tipped the ball over the bar. The fourth goal almost arrived in the 74th minute after and excellent run and cross from Russell on the right flank. The ball was hit at pace across the six-yard box but Byrne failed to connect with the goal at his mercy. The Shels keeper was kept busy as Saints pushed for that fourth goal and made a great interception at the feet of Christy Fagan after the substitute striker linked up well with Forrester on the left wing. The hat-trick eventually arrived with eight minutes remaining as Forrester found space on the edge of the box and his curling effort deceived Hanley, possibly with the help of a deflection, to find the back of the net. Shelbourne were all over the place at this stage and could have lost by more as Saints kept up the pressure until the final whistle. And the home side even had the ball in the back of the net two more times throughout the second half but thankfully for the visitors, they were disallowed. So it's back to the drawing board for Alan Mathews' Shels who remain without a win in this year's campaign and sit rock bottom of the table with a solitary point from their eight games played.